Recently, my wife and I began using ridesharing, never thinking twice before climbing into our Uber or Lyft. However, in the wake of the tragic death of USC student Samantha Josephson, whose life was stolen two weeks ago by a man she believed to be her Uber driver, the potential dangers associated with ridesharing have garnered national attention. Recent investigations have revealed that assaults by rideshare drivers and persons posing as rideshare drivers occur with alarming frequency. And across the country, university and community leaders are spearheading campaigns to promote safe rideshare practices by passengers, drivers, and companies such as Uber and Lyft. This week, State Legislature passed a bill to enact the Samantha L. Josephson Ridesharing Safety Act, which will require all rideshare vehicles to display illuminated signs. The purpose of the act is to make it easier for passengers to identify their ride; however, the Legislature still cautions that, while the new law will assist in the ride-verification process, passengers should continue to adhere to other safety protocols recommended by Uber and Lyft. There is no greater loss to society than the death of a young person with a promising future. Had she been afforded the opportunity, Samantha Josephson would have graduated from USC in May and gone on to pursue her JD at Drexel Law School on a full scholarship. Though her dreams of being an advocate have regretfully been extinguished, I pray that Samantha’s family, friends, and loved ones can find some peace in knowing that her story alerted our entire nation to the unspoken dangers of ridesharing and inspired better safety practices that will undoubtedly save the lives of many others in years to come. 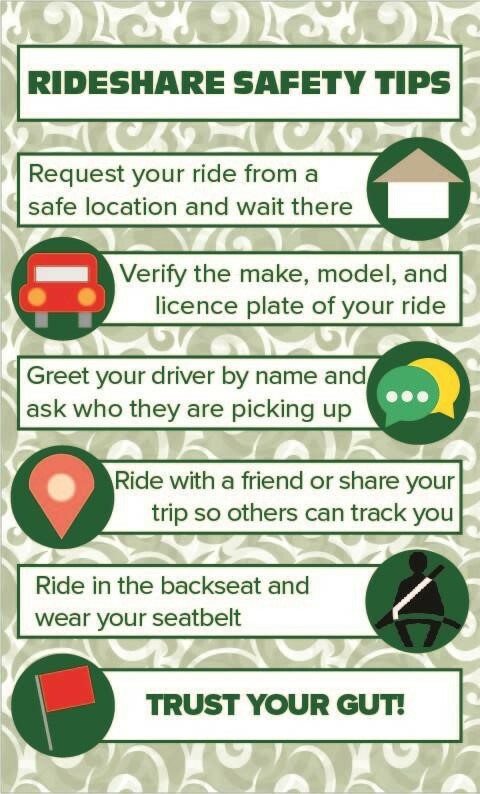 Please keep Samantha’s legacy alive by paying heed to ridesharing safety guidelines and sharing them with others to help prevent future tragedies.